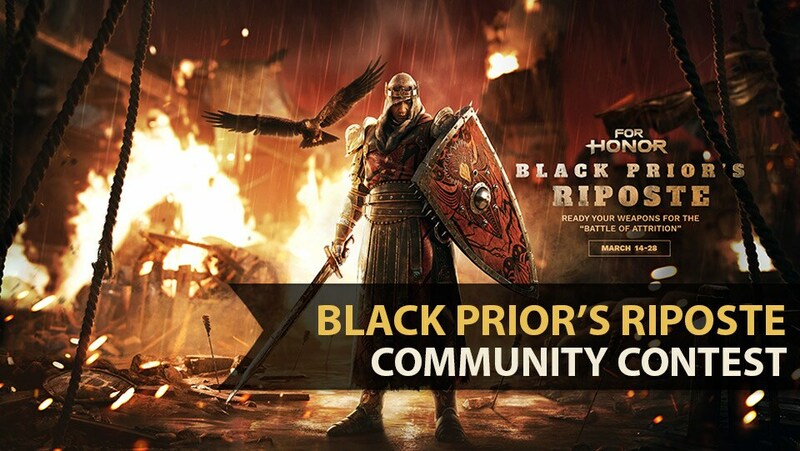 We’re celebrating the launch of our latest seasonal event, Black Prior’s Riposte, with a brand new community creation contest! Shape your own destiny with your best GIF/MEME inspired by the recently announced Black Prior’s Riposte event! Let your creativity show for a chance to win an exclusive For Honor Customized Black Prior’s Riposte Pin! Entry Period: March 14th, 2019 – Starting at 12 PM ET. Conclusion Period: March 28th 2019 – Ending at 3AM ET. In order to be qualified, your submission must meet the following criteria. If it does not, your entry will be considered ineligible. GIF/Meme entries must be created by participants and be original For Honor: Black Prior’s Riposte with original text overlay. Your entry must be in English. Please keep non English terms and phrases to a minimum. Entry must not contain material that is unlawful, in violation of or contrary to all applicable local, state, federal, or international laws and regulations. The entry must not contain any third-party materials, other than For Honor materials, or otherwise violate or infringe (or may infringe) any copyright, trademark, logo, drawings, cartoons, phrases, mark that identifies a brand or other proprietary right of any person living or deceased (including but not limited to rights of privacy or publicity or portrayal in a false light) or entity or make reference to any commercial/corporate advertising (including but not limited to corporate logos, brand names, charities, slogans, political, or religious statements), or be otherwise objectionable (Sponsor may blur or black out the infringing material, in their sole discretion). In addition to the above guidelines, please review the FULL contest official rules and guidelines HERE. 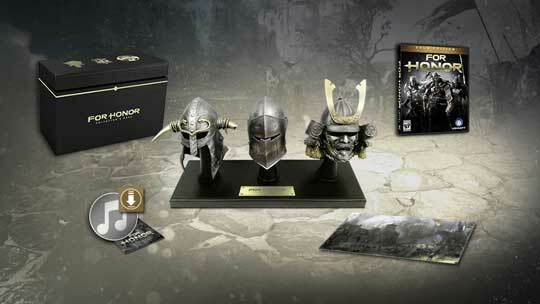 Entries must be For GIF/MEME to the e-mail address ForHonorContests@ubisoft.com. Entry emails should contain one of the following subject lines according to the category. One entry will be considered per participant. Can I submit something that is from For Honor but is not related to For Honor: Black Prior’s Riposte Event? Your creation must be inspired by the Black Prior’s Riposte over event. When will I found out if I won? What prizes am I eligible to win? Winners will be eligible to win Black Prior’s Riposte Inspire Pins. How will I be notified if I won? Winners will be contacted via the e-mail associated with the entry form. Note: Email address and physical address will not be used for any other processing after the contest. We look forward to seeing all of your amazing creations!